Stay tuned for Mark's New CD: Coming Soon! Mark Cassara is a musician for all generations. 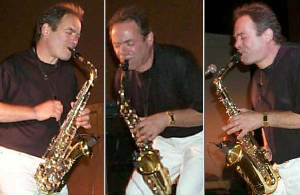 Mastery of his instrument, the saxophone, is exceeded only by his unique sense of arrangement and prodigious writing talent. His work spans the musical horizon - it grooves, it flies, it wails, it sings, it soothes and it rocks - and all with an impeccable sense of rhythm, taste and musical savvy that satisfies and excites even the most discerning listener. Mr. Cassara is the master of five instruments, and with an elite musical ear for all others. Every nuance of musical expression is at his command, and here with his debut CD, that excellence reaches full fruition. It’s music not only for musicians, but also for all those who simply know great music when they hear it. Mark resides just outside Rochester, New York, the home of the renowned Eastman School of Music, and has played with some of music’s greatest names. He has simultaneously led two bands, one for the hits of the day, the other an elite jazz group featuring the area’s premiere musical artists. Along with the club circuit, Mark has played every venue from weddings and corporate parties to hired gun at top-of-the-line studio sessions. Says Mark, “Music is my greatest love after God and family. It allows me to go places where few have gone before, and stay there, and create there, and best of all take others there too. It’s a wonder, a magic that each time rejuvenates me.” Mark's music is sure to work wonders on you too! 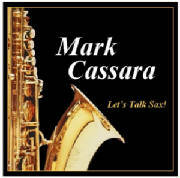 MARK CASSARA: Let's Talk Sax!